144 rolls (i.e. 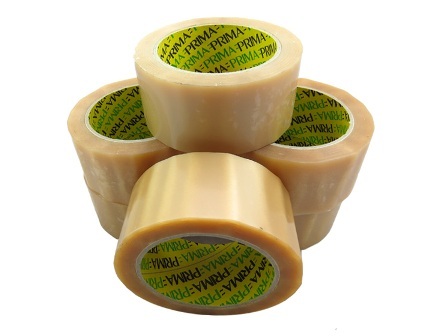 4 boxes of 36 rolls) of clear heavy duty vinyl tape, branded by one of the UK's leading manufacturers (Prima). An extremely strong and heavyweight tape used widely in the removals industry and any type of business where large/heavy packages are required to be absoloutely securely taped. This tape is made from Vinyl, as opposed to Polypropylene, which gives it the extra strength.